Mount Cleveland, one of the Aleutian Islands' most restless volcanoes, was put back on watch level status Tuesday after lava was seen flowing in its summit crater, the Alaska Volcano Observatory said. 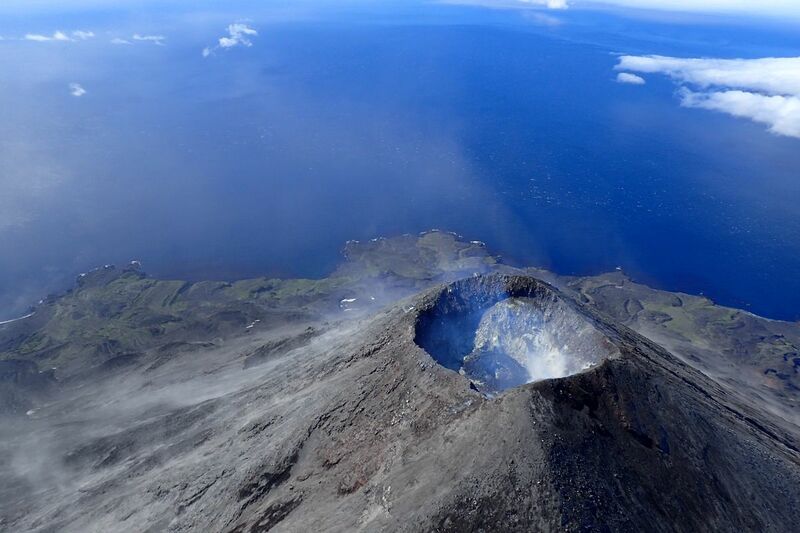 Cleveland Volcano is "arguably one of, if not the most, active volcanoes in the Aleutian arc," said Chris Waythomas, geologist for the volcano observatory. "It's always doing something," Waythomas said. The volcano is constantly emitting gases, Waythomas said. Lava seen flowing in the volcano's main vent Monday could clog the conduit, which could then lead to explosions of volcanic ash, Waythomas said. Those explosions could happen without warning, the volcano observatory said. The explosions usually create small volcanic ash clouds that dissipate in a few hours, but larger ash explosions can also occur. The volcano is monitored by two seismic stations. The last detected explosion at the volcano happened May 8, according to the observatory.